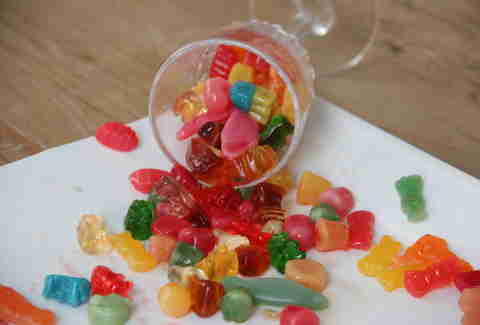 Apparently, vodka-soaked gummy bears are a thing. But are they the thing? 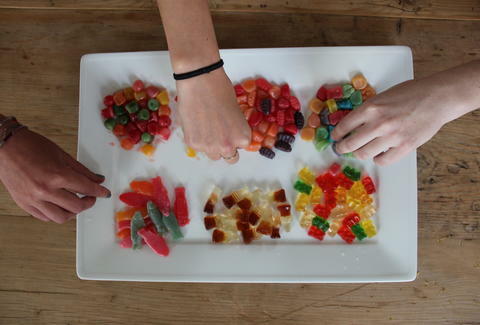 To find out, we soaked seven different gummies in vodka for TWENTY FOUR HOURS STRAIGHT, invited three cute lady food writers -- Allie Pape from Eater, Lauren Sloss from Serious Eats, and Andrea Kasprzak from DailyCandy -- to eat them, and then recorded their thoughts and had them rate them worst-to-best. The results… 7. Haribo Happy-Cola Bottles Allie: [Three seconds after spitting them into a trash can filled with Luna Bar wrappers... We have no idea how those got there!] The first couple of chews it's good, then it gets weirdly bitter in a weirdly bad way. Lauren: It tastes like a thimble of Coke and a huge thing of vodka. It turns probably okay vodka into plastic bottle vodka. No wonder high schoolers like this. Andrea: I kind of just want to take more, and swallow them, and see what happens. Lauren: I'll tell you what happens. Bad things. 6. 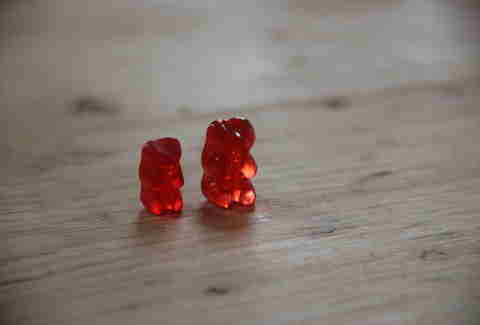 Gummy Bears Andrea: I couldn't taste anything but vodka, but I could really taste vodka. Lauren: It doesn't just taste like vodka, it's like vodka cut with cough syrup. I was once at a party in college, and my friend poured all these alcohols together in one cup. It kind of tastes like that. 5. Disney Princess Fruit Snacks Lauren: I'm so nervous. Andrea: The fact that they're Disney originally drew me to them. Now... Allie: That's actually... not... terrible? Lauren: Pink is okay. The blue tastes medicinal. Thrillist: You know you only have to try one, right? Lauren: Oh... 4. 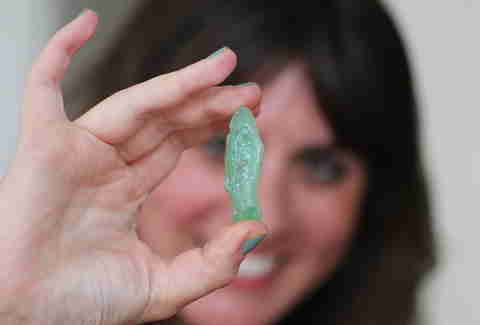 Sour Patch Kids Lauren: They seriously look like Easter Island figurines. The texture is worse than the Swedish Fish. The flavor is worse than Dots. That's not the best combination right there. Allie: I'm gonna try another one, you know, for science. 3. 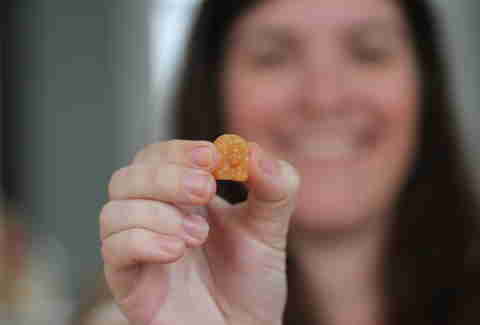 Welch's Fruit Snacks Allie: [Before eating one] They've preserved their fruit shapes. And they're made with real juice, so maybe that's promising. [After eating one] Oh no. OH NO. I take back my previous comment. Lauren: The texture is pretty good. They're mushy, but not terrible. I could eat another one. 2. Dots Allie: Not bad. 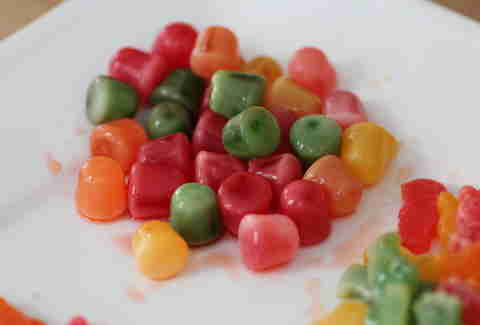 They really just taste like wet Dots. So… that's not bad. Yellow kind of tastes like Pine-Sol. So maybe wet Dots covered in Pine-Sol... I don't think that's selling it. Lauren: Lime also tastes like a cleaning product. I just stood up, I'm definitely ummm… Whoa. Andrea: Orange is not good. 1. Swedish Fish Andrea: It's so big! Allie: The texture is a little gross, but taste was fine. It's not too chewy. You just need to penetrate the inner sanctum, and then you're good. Yep, I said sanctum. 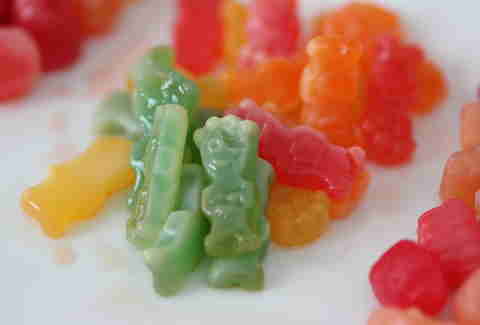 Lauren: I would eat a box of those compared to the Coke bottles and the Gummy Bears... and then I would vomit.